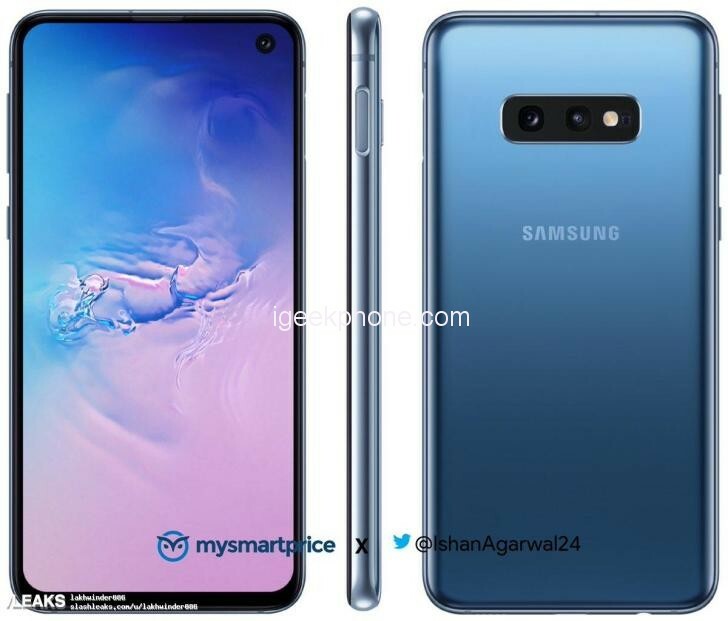 Resource MySmartPrice together with Indian insider Ishan Agarwal (Ishan Agarwal) published the first images of Samsung Galaxy S10 and S10e smartphones in a blue case. 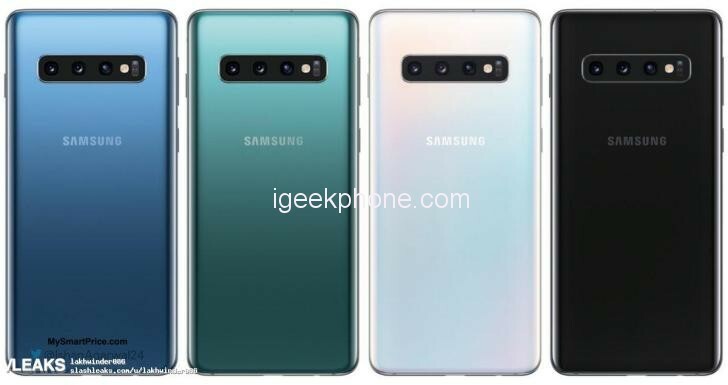 Earlier in the network already appeared press renders of the main color line of the Galaxy S10 series – black, white and green. Also for the Galaxy S10e, there is a bright yellow color, and the Galaxy S10 will also appear in gradient red. Although for now, we can not give you full officiality for the design of the S10 series, these renderings show an aspect that will almost certainly be the definitive one for the new top Samsung range. So what do you think? Let us know in the comments and tell us if, for this year, the Korean company was able to convince you in terms of aesthetics. 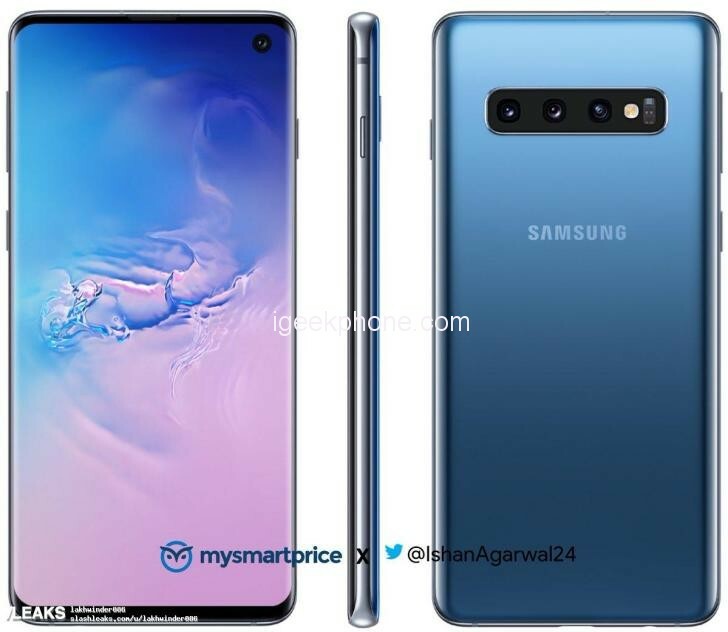 Now we can admire the blue versions of the Galaxy S10 and S10e, the output of which is expected a little later than the main variations. The blue version, like the red one, is made in a gradient solution. For the older model, the Samsung Galaxy S10 + will additionally be offered a premium model in a ceramic white or black case. The Samsung Galaxy S10e has a 5.8 “display installed, in addition, comes the Exynos 9820 or the Qualcomm Snapdragon 855 used as well as 6GB of RAM. The internal memory will be 128GB. And the price is hot, the manufacturer wants to have $800 for the small flagship in the colors yellow, black, green, white / silver. According to the leak, the Samsung’s S10+ will also be equipped with 12GB RAM with 1TB ROM, configuration, it will also be powered with Qualcomm Snapdragon 855 or Exynos 9820, support reverse wireless charging and Android Pie-based One UI. When will the Samsung Galaxy S10 be introduced? On February 20, the three models Samsung Galaxy S10e, Galaxy S10 and Galaxy S10 + will be presented in San Francisco and New York. The pre-orders will start on February 21, and on March 8, the new flagships will be available in stores.